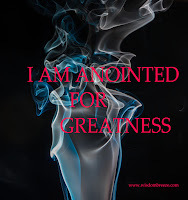 Lets Pray... Jesus on behalf of my leaders and readers, I worship you, I returned all the glory unto your wonderful name, Holy Spirit we welcome you in this blog, sanctified the hearts of your people o Lord, the hour has come to hear thy word, glorify thy name in Jesus name, amen! And give him no rest till ye establish, and till he make Jerusalem a praise in the earth! It is with great joy and with humility before God that I am speaking to you! Please before you do anything that will make you regret for the rest of your life this year, I want you to flash your mind back and see the power of God in your life, His Grace and mighty act! He loves and cares for you, His grace was there to see you through and the grace is still available all these happens not because you were so humble, Holy and obedience, God did all those things for His name’s sake, for how should his name be polluted and He will not give his glory to another(Isaiah 48:11) please take not the Grace of God in vain, know who you are, what you want and where you are going to, set a goal and work towards that with passion! Beloved, this 2016 the Spirit of God is moving everywhere, amend your ways, your thought, attitude, attitude, character and get connected. why must it be you all the time, let go of whatever is hurting you, the heartbreaks, hatred, idolatary, adultery, witchcraft, heresies, please just drop all the carry- over load, the problems that you are planning on activating again, do not execute them please, abort. Stop updating problems by saying over my dead body will I let go, please forgive. The eyes of God is moving to and fro searching for those to chew himself on their behave. This blessed new year, don't start it with anger please, be a change person if you are already change and with good character keep it up. Give someone a reason to look at you this year with smiles and say because of you, I didn’t give up! Inspire someone and inspire yourself too positively! Yes I know temptation and trials will set in but I see you with great testimonies in Jesus’ name! Now the "big question" is can God boast of you as He did with Job when the sons of God went to present themselves unto God and Satan moving to and fro decides to stop by and right there at that moment Satan question job’s devotion towards God, he believes that Job saves God because God has blessed him, he lack nothing, very wealthy, a man of integrity, perfect and upright and one that feared God and eschewed evil. Satan challenged God and said that God hath made an hedge about Job, his house and all that he hath, the work of his hands and substance. Beloved please be ye strong therefore, and let not your hands be weak: for your work shall be reward. (2Chronicles 15:7) Amen! Wow! God bless you! Just what was laid in my heart to share for tommorrow - To stay connected to God. This is a season of seeking God's face to have a personal experience of His glory. My heart leaps for joy even after reading this article. God is ready to shine on us. But we have to be well positioned. 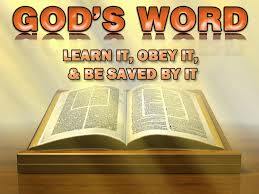 Thank You Lord for confirming Your word through ma'm Lucy! whatever he says you should do,do it"
God be praise, I return all the glory to Him! Thank you Amaka indeed this a season of seeking God's face to have a personal experience of His glory. failure to do that will result in total disaster of course no one want to experience that. Stay connected to the Word and have a blessed week! Hmmmm this is great. Exactly what we need right now bible says if our eyes be single our whole body will be full of light. The need to stay focused is very important. Thanks for this great fellowship. Awww! I'm so blessed after going through this power-packed message. May God help us to be doers of His word. Thanks so much for checking on me while I was away. Wow my pastor.....sincerely one needs to do what is right since we still have the time to now. I have this desire to serve Him better than I did last year. I know He will direct my part. Thanks for this Pastor. Lord, show me the way that I may walk in it this year. Thanks for sharing, Lucy! The Lord is always good.